Our branded Scout 2.0 Zippered Jacket has micro-cord fabric construction with ribbed texture and nylon lining. If you want to stand out from your competitors in brand promotion, go with this Scout 2.0 zippered jacket from Holloway that comes as a value-priced solution for promotional purposes. Imagine the cool look of this stylish lightweight jacket when you get your company logo printed on its chest and the backdrop it will create for your brand on your customers! 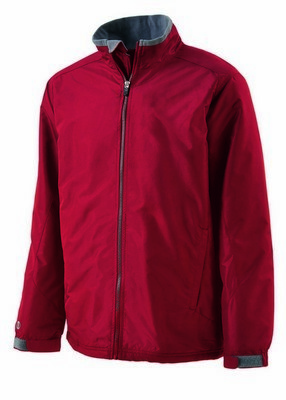 What makes this jacket different from others is its size option ranging from XS to up to 6XL. 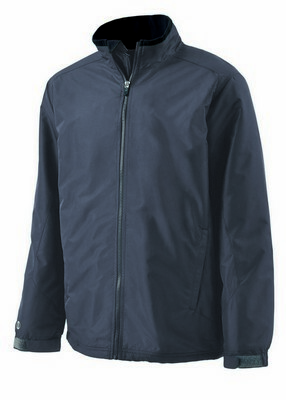 The jacket is made from Micro-cord woven polyester fabric with ribbed, raised texture, nylon lining and athletic mesh for optimum style and comfort. Its special interior storm flap keeps you protected against any element trying to enter. It facilitates ease of use with quilted nylon sleeve lining while all access embroidery zipper imparts a stylish look. Inside zippered pockets allow safe storage of valuables. Choose from a variety of attractive colors and use it as corporate giveaways!